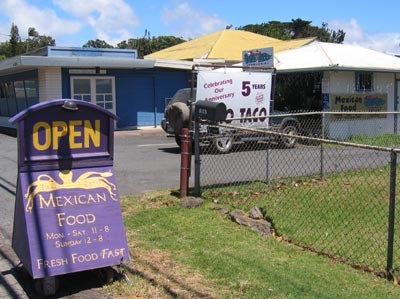 There’s a place in Waimea on Kawaihae Road that is a favorite for Mexican food called Tako, Taco. It’s play on words as Tako=Squid in, what is it? Japanese? Anyway, you don’t need to have squid tacos, they have veggie food, fresh fish, cow and pig if you prefer. 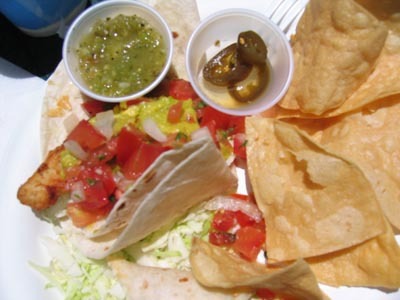 My plate of Baja Fish Tacos as I devour it. Very filling and oh so yummy. Previous PostPrevious Peter Pan or Skippy? Next PostNext What does this do?